On January 8, 1861 at noon, a battery of cannons on Boston Common commenced fire. The reports reverberated through the narrow streets of Beacon Hill, rattling the houses of the city’s elite. They echoed across Dock Square and the merchant district. They could be heard, no doubt, in the old North End, inside tenements inhabited by Irish immigrants. The cannons continued until 100 rounds had been fired. There must have been many in the city that day who wondered what was happening. The answer is John Albion Andrew. A month after his graduation, Andrew moved to Boston and became a student of law under the instruction of Henry Holton Fuller (1790-1852), brother of journalist and women’s rights advocate Margaret Fuller. In 1840, Andrew was admitted to the Suffolk County Bar, for a time worked as a junior partner in Fuller’s firm, then formed a new partnership in 1847 with Theophilus Chandler. Their firm lasted fourteen years. As an attorney, Andrew had a reputation for representing the poor, disadvantaged, or even those presumed to be guilty on the principle that all should have a fair trial. He refused to turn away a potential client simply because they had no money to pay for legal assistance. Andrew felt strongly that there was need for reform in divorce law and regularly represented women in such cases. In 1846, Andrew met Eliza Jane Hersey (1826-1910) after he saw her in a tableau vivant at an antislavery fair in her home town of Hingham, Massachusetts. Writing later a lengthy letter to his sister about his courtship, he wrote that Eliza was, “warm-hearted, generous, affectionate, hopeful and mirthful; but at the same time strong in her purposes…a lover of reality and a hater of seemings…She evidently likes in me my solemn and more earnest side…” They were married on Christmas, 1848. Andrew first became engaged in politics as secretary of an informal committee of “Young Whigs,” formed in Boston in 1847 who were angered over their party’s tacit support of the Mexican War. This splinter group, a year later, became the core of the Free Soil Party in Massachusetts. Andrew threw himself into the work of the party, organizing rallies and meetings. 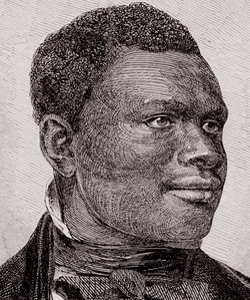 During the 1850s, Andrew worked with Boston’s abolitionist leaders on numerous fronts. 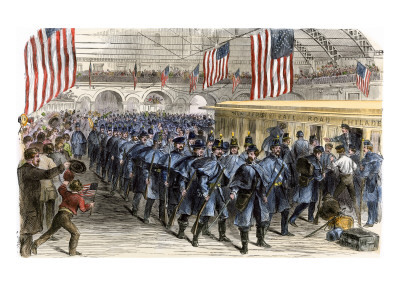 He was active with the Boston Vigilance Committee, supporting Underground Railroad activities…perhaps in a number of ways, but most publicly, he provided legal assistance for captured fugitive slaves. Andrew spent many years helping Seth Botts, a fugitive slave living in Boston, purchase the freedom of his widow, three children and brother-in-law and secure their passage northward. Andrew defended abolitionist leaders who were indicted for their alleged role in inciting the mobs that formed on May 26, 1854 in an unsuccessful attempt to free capture fugitive slave Anthony Burns. And in 1859, when John Brown carried out his infamous raid on Harpers Ferry, Andrew raised funds for his defense and personally arranged the attorney, not because he felt Brown was justified in what he had done but because he felt strongly that all deserved a fair trial. Andrew assumed his first elected office in 1857 as a representative to the Massachusetts General Court on the ticket of the new Republican Party. He served a single term. He distinguished himself in leading the successful effort to have Judge Edward Greely Loring, who had ordered the return of fugitive slaves Thomas Sims in 1851 and Anthony Burns in 1854, removed as a judge of probate. 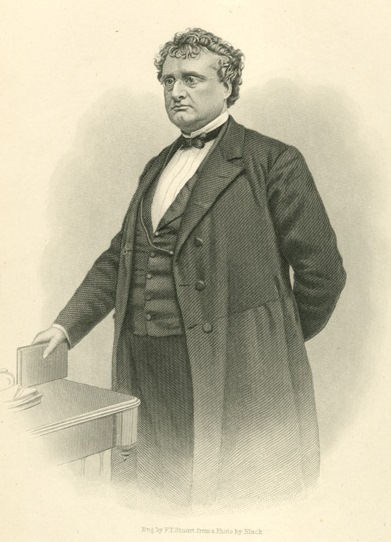 Given opposition in Boston to the Fugitive Slave Law, the effort was popular, however in hindsight the removal could be regarded as vindictive as Loring was, in a strict sense, simply upholding the letter of the law. Andrew was popular, but he had his detractors—an Old-Guard minority who painted him as a radical abolitionist, a John Brown proponent, and a danger to the Commonwealth. Despite this, on November 6, 1860, Andrew won the election against his opponent, Amos Adams Lawrence (a member of the Constitutional Union Party, also an antislavery man but slightly more conservative). On December 20, 1860, just sixteen days before Andrew was to be inaugurated, South Carolina voted to secede from the Union. Over the next two weeks, the South Carolina militia seized federal munitions and fortifications, including the U.S. arsenal in Charleston, and guns were soon trained on Fort Sumter in Charleston Harbor. In the midst of these monumental events, the transition between two very different gubernatorial administrations took place in Massachusetts. The contrast between the two men and their politics is evident in Governor Nathaniel Banks’s valedictory address, delivered on January 3, 1861 and Governor Andrew’s inaugural address two days later. …the prostitution of all the powers of the government and the bending of all its energy to propagate a certain interest for the benefit of a few speculators in lands, negroes, and politics, and to discourage the free labor of the toiling masses of the people ; the menaces of violence and war against the Constitution and the Union with which our arguments and our constitutional resistance have been met. …This Union, through whatever throes or crises it may pass, cannot expire except with the annihilation of the People. Come what may, I believe that Massachusetts will do her duty…. The very day on his inauguration, Andrew sent high ranking militia officers to deliver confidential messages to the various New England governors urging that they too place their militias, “in condition for prompt movement to the defense of Washington.” On January 12, he wrote Winfield Scott, the General-in-Chief of the U.S. Army for instructions and advice on how best to prepare his militia. And on January 16, he instructed Massachusetts Adjutant General William Schouler to issue General Order No. 4 instructing captains of militia to weed out men not fit for duty, elect new officers, to fill out their ranks with able bodied men and to drill regularly.